Here's the record of an epic texting session which lasted between 2:18 and 3:30 pm today between The Poncho Man and myself. 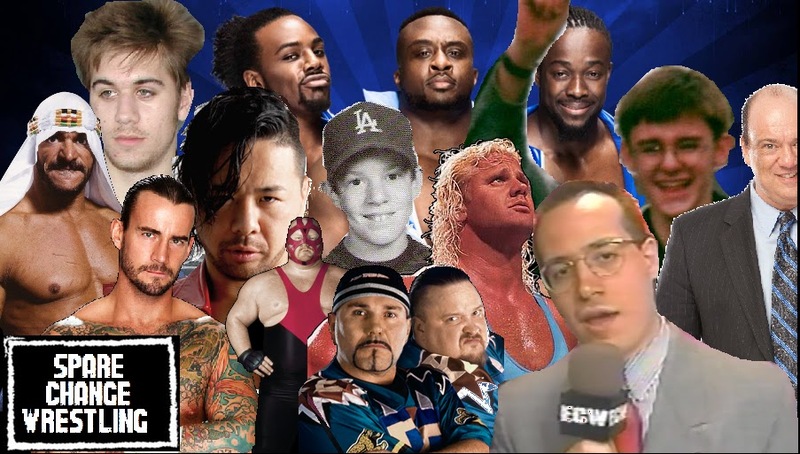 The idea was spawned in anticipation of the upcoming Raw/Smackdown roster split. All WWE and NXT roster members were eligible, eventually including anyone else under contract with the company. Tag Teams and Factions counted as a single pick. 68 Picks in 72 minutes made for a pretty snappy repartee which really picked me up in the middle of a dull day in front of a computer. -No Dolph Ziggler or Baron Corbin, who have quietly been doing PPV pre-show matches the past couple months, with very little TV time. I might have picked them if I'd remembered them. -Nobody picked any of the McMahons. -I tried to pick Eric Young at the 25 spot, but Poncho reminded me that he isn't under contract. -Poncho played "the numbers game" (Michael Cole's favorite game) by picking a total of 42 wrestlers, 1 interviewer, 2 announcers, and a cat. I ended up with 31 wrestlers, 1 trainer, 2 announcers, 5 road agents/managers, and a photograph. -I picked all 3 former members of the Shield, Poncho picked all 3 Japanese wrestlers. There are probably more interesting points to glean from the lists, but it's time for my dinner.